Practice your presentation in front of two simulated audiences that react based on how well you present. PitchVantage provides instant feedback on 10 elements of presentation delivery with personalized tips that help you improve; Pitch Variability, Pace Variability, Volume Variability, Verbal Distractors, Pauses, Pace, Long Pauses, Engagement, Volume & Eye Contact. 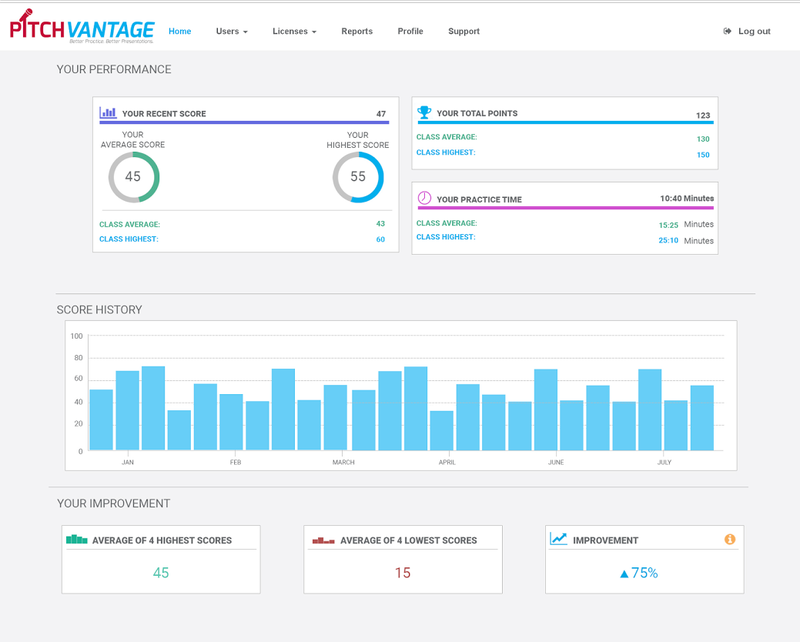 Our cloud dashboard lets you easily monitor usage and performance data. 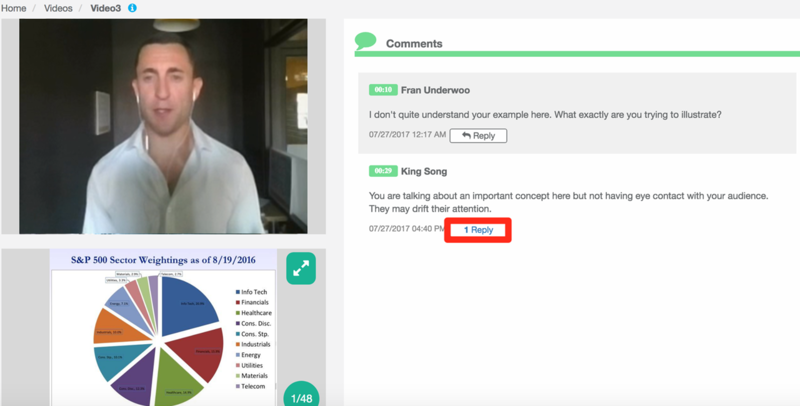 PitchVantage provides instant automated feedback on 15 elements of content including language, conciseness, structure, grammar and clarity.